Dr. Wanda Dyson has received additional training in order to provide patients with the Wiley Protocol for hormone replacement therapy. 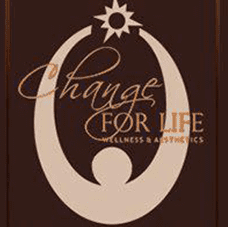 Many patients at Change for Life Wellness & Aesthetics in Washington, D.C. area and beyond, have had great results from this treatment approach, which can improve many areas of daily function. What is the Wiley Protocol? The Wiley Protocol is a hormone replacement therapy approach that seeks to mimic a woman's natural hormone production. The Protocol specifically targets the hormone cycle that a woman in her early 20s would experience. This approach is used to treat women who are suffering from symptoms of menopause including hot flashes, vaginal dryness, headaches, joint pains, and insomnia. The creators of this approach choose to focus on the early 20s due to the fact that very few women experience significant illness or disease at that stage of their lives. How does the Wiley Protocol work? The Wiley Protocol works by providing women with a topical cream that delivers carefully controlled doses of the hormones estradiol and progesterone. Those creams are used in different application amounts throughout the course of the 28-day cycle. That timing mimics a woman's natural hormonal cycle. This hormone replacement therapy approach has been scientifically proven to improve symptoms of women suffering from irregular periods, premenstrual syndrome, infertility, uterine fibroids, and several other medical conditions. What makes the Wiley Protocol unique? Many methods of hormone replacement therapy are available, but many practitioners prefer the Wiley Protocol due to its use of biometric hormones. Those hormones reproduce the natural undulation and rhythms that are naturally present throughout the course of a normal menstrual cycle. Following that cycle allows practitioners to deliver the most highly efficient and effective doses of hormones just when the body is best able to receive them. A wide body of research supports the use of hormone replacement therapy techniques such as those within the Wiley Protocol. It is believed that hormone replacement therapy has more to do with the way that hormones are received versus the type of hormones that are used. For example, women who have received hormone therapy in the form of a combination pill seem to receive fewer positive benefits than those who receive varying doses by way of a topical cream.